Science, welcome to the party! In 1992 the consensus view was that high cognition was responsible for the wolf’s capacity for teamwork in the hunt. The pack was said to be composed of highly rational beings working under the auspices of an omniscient Pack Leader, who stimulated submissive instincts given his (or sometimes her) magisterial presence. NDT on the other hand has argued since the late-seventies that the wolf’s intelligence was due to an emotional capacity rather than an intellectual/instinctive one. Wolf behavior was a self-organizing, non-autocratic structure based on a hierarchy of feelings, i.e., a range on a spectrum of oral/sensual arousal-relative-to-inhibition, or to put it another way, hunger-relative-to-balance. In 1992 my theory was ridiculed by behaviorism as being simplistic. 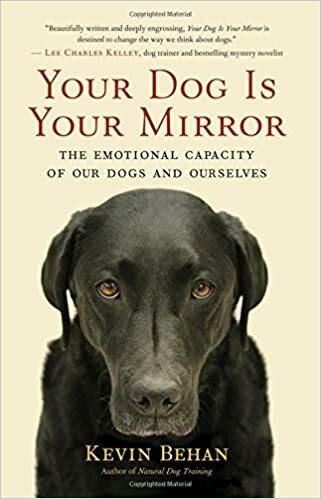 But when one has the chance to experience the immediate-moment theory of emotion and feelings applied to what a dog is doing in real time, most report that while it may be a radical overhaul of current consensus thinking, it does feel right. Now science is finally coming around to understanding that the hunt is seminal in the domestication of the dog from the wolf, and then researchers on collective action are beginning to demonstrate that simple rules govern the hunt rather than a Pack Leader. These are the very points I made in “Natural Dog Training.” To put this rule into NDT parlance, the negative-equals-access-to-the-positive. So after the photo of wolves encircling their prey at around 1:37 in this Ted Talk, the discussion veers far off track into high level mental processing to explain dogs adaptability to man, as for example why a dog would turn to a human when frustrated by a problem. Again behaviorism is failing to grasp that this is a function of a high emotional capacity, i.e. the capacity to apply the universal template of animal consciousness (the negative –the eyes, i.e. the predatory aspect—grants access to the positive, i.e. an emotional ground or preyful aspect) THE SIMPLEST, MOST FUNDAMENTAL TEMPLATE OF CONSCIOUSNESS to complex objects of resistance. It may take another 30 or more years for science to understand the emotional and thermodynamic significance of wolves aligning and synchronizing as a group around the prey animal as the midpoint to a social equation, and to finally understand that the pack evolved from the hunt rather than the other way around. I predict that thirty or so years from now there will indeed be such a Ted Talk by a behavioral scientist such as the above. 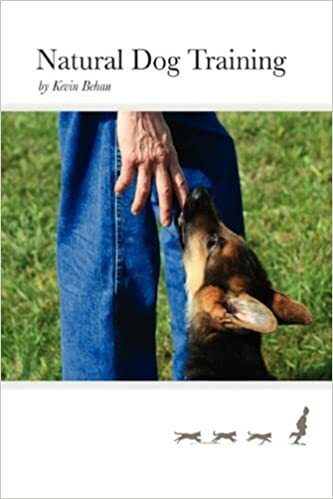 Hopefully dog owners aren’t going to wait for consensus thinking to catch up to what dogs can teach us in the everyday things they do every day. The question for now is who does one trust: their feelings or the experts?